These scale patterns make for a great warm-up, making fingers nimble and lips flexible. After finishing with one starting pitch, move up a half-step and repeat. 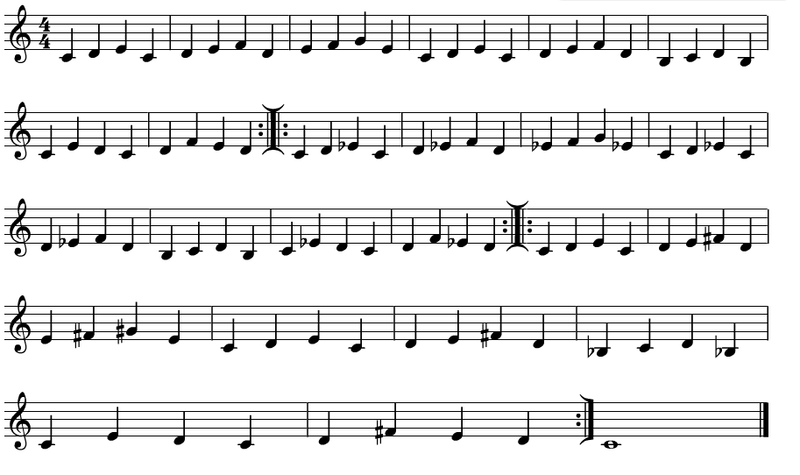 Though the exercise is typically slurred, it can also be played staccato or in various slur-tongue combinations. Increase speed as much as possible while still maintaining evenness of notes and quality of tone, with the goal of playing both repeats of major, minor, and whole tone patterns all in one breath.